Earth’s closest celestial neighbour is a splendid sight in the night sky, even if it does spoil the view of fainter objects. Every night is different as the Moon waxes and wanes and the terminator line between light and dark moves over its face and different craters and mountains become visible. 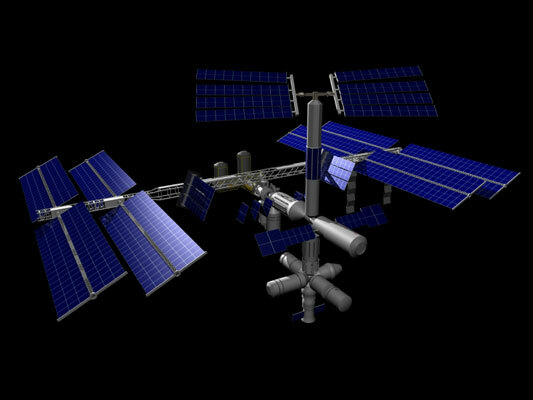 The giant International Space Station (ISS for short) whizzes around the Earth every 92 minutes. On some passes it catches the Sun’s light at just the right angle to light it up, letting you see it from Earth. If you know where and when to look, you can always spot the ISS. Find out when the ISS passes over on Heavens Above website. Saturn’s beautiful ring system shines like a jewel through even small telescopes. Something is magical about seeing these rings for the first time live. The view through your telescope won’t look as visually stunning as the pictures sent back by the Cassini space probe, but they’re a real view, at the end of your telescope, of this beautiful planet hanging in space. It’s a toss-up which is the best planet to see through a telescope, but for me Jupiter edges out Saturn. Sure, Jupiter doesn’t have amazing rings, but it does have cloud bands, a Great Red Spot, and four giant moons orbiting it. 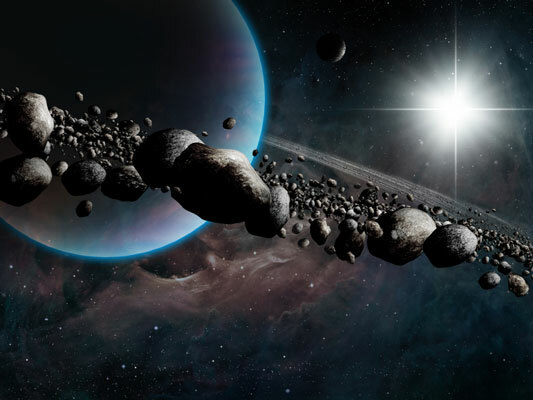 If you watch over the course of a night or on several nights over a week, you’ll see these objects change position as the king of the planets spins. 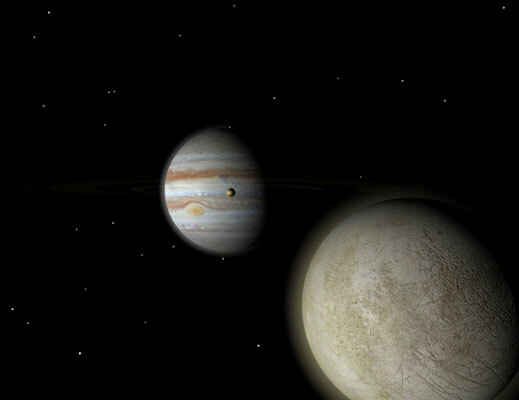 When you see Jupiter’s moons for the first time, you see things that changed the world forever. They proved Galileo’s theory that not everything in the cosmos orbited the Earth, contrary to what was generally believed at the time. 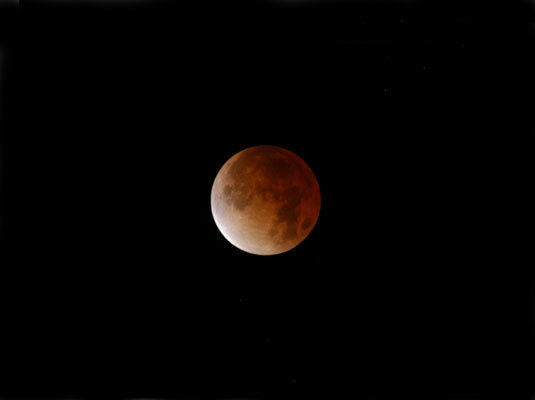 You need a medium or large telescope to see much on the surface of the Red Planet, but the effort is worth it. 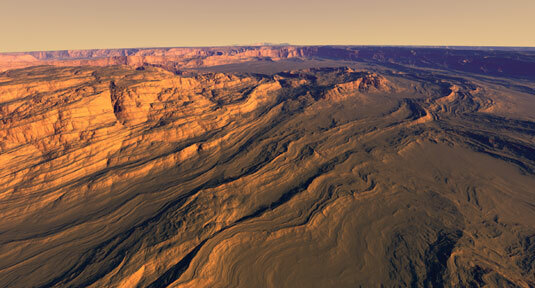 Use your imagination to trace dark stripes and patches on the surface of the planet and imagine how those areas may have looked to the first astronomers who saw them – like the markings left behind by an intelligent civilisation. Now astronomers know they’re natural colourations of rocks on Mars, but that fact hasn’t stopped over a century of speculation about Martians and a fascination with the Red Planet. Venus is the brightest planet – and the most beautiful when seen hanging in a deep twilight sky after sunset or before sunrise. 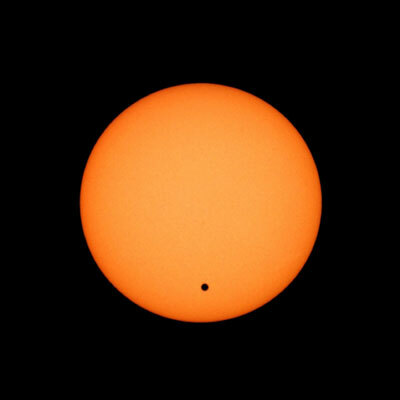 Look through a large pair of binoculars or a telescope at Venus at its brightest, and you’ll see it has a crescent shape, looking like a tiny version of the Moon. You can track Venus’s other phases as it orbits the Sun. You should always make sure that the Sun is below the horizon when scanning that part of the sky with binoculars or a telescope. 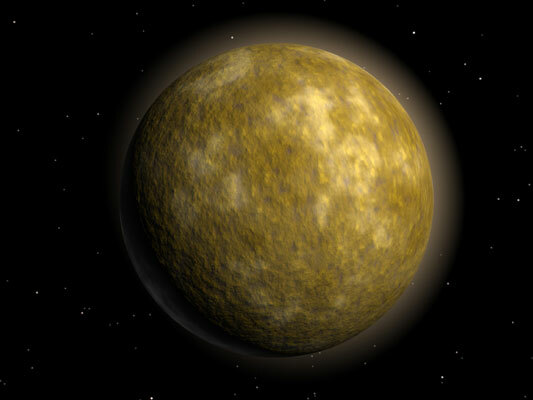 Seeing Mercury at all is tricky, as it’s seldom visible in the glare of the Sun. If you can catch sight of Mercury, you’ll see it shining like a bright-ish star in twilight, but you’ll be in a select club of people ever to have seen it. You may see phases of Mercury like you see for Venus, but you’ll need a telescope to see them, and you’ll need to take extra-special care that the Sun is well and truly below the horizon if you value your eyesight. After you buy your first telescope, you should supplement it with a solar filter, a cover for its front end. (Never use solar filters that go on the eyepiece.) This filter lets you look safely at the giant ball of gas in the daytime sky. 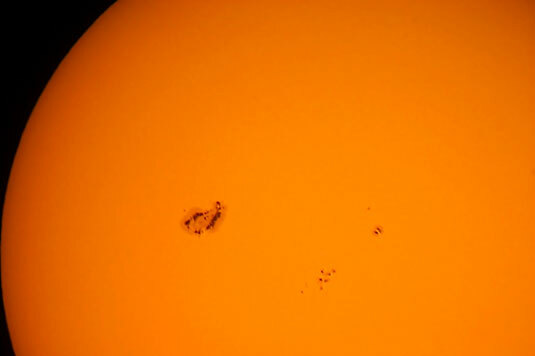 On the surface of the Sun are tiny black specks known as sunspots, regions of cooler gas. Depending on whether the Sun is very active, you’ll see different numbers of sunspots. Sometimes the surface can be peppered with lots and lots of little dark spots, each one larger than the Earth. Stargazers in the northern hemisphere quickly come to know and love the Big Dipper, and their southern cousins feel the same about the Southern Cross, both of which you can use to find your pole, north or south. The first thing that any good stargazers look for when heading outside at night is their polar signpost: find north or south! You can’t find this stunning faint fuzzy in the sky all year round, but when the Orion Nebula is above the horizon, you’ll quickly come back to it time and time again. Orion itself is one of the most distinct of all the constellations, and so finding the Orion Nebula, M42, is easy. 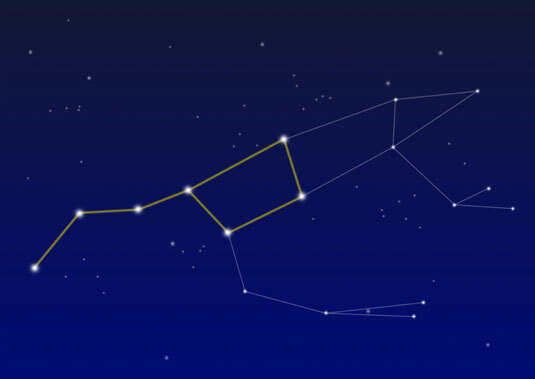 First, find Orion’s stars Betelgeuse and Rigel, two of the brightest stars in the sky. Next, find Orion’s Belt half way between Betelgeuse and Rigel. From there, find Orion’s sword hanging from his belt. The Orion Nebula is the faint fuzzy in the middle of the sword. The Orion Nebula is visible to the naked eye, even in sites with a bit of light pollution, as a fuzzy patch in Orion’s sword. Through a telescope, you begin to see detailed structure among the gases in this giant cloud of star-forming hydrogen, as well as the stars that light it up from the inside.